Many auto-entrepreneurs seem to be receiving invoices for business directories and phone directories. The letters come with a very formal invoice ranging from 250€ to 350€ and states that the registration is compulsory. These letters are extremely bad taste promotional offers and should be ignored. There are no compulsory business or phone directory registrations for auto-entrepreneurs. 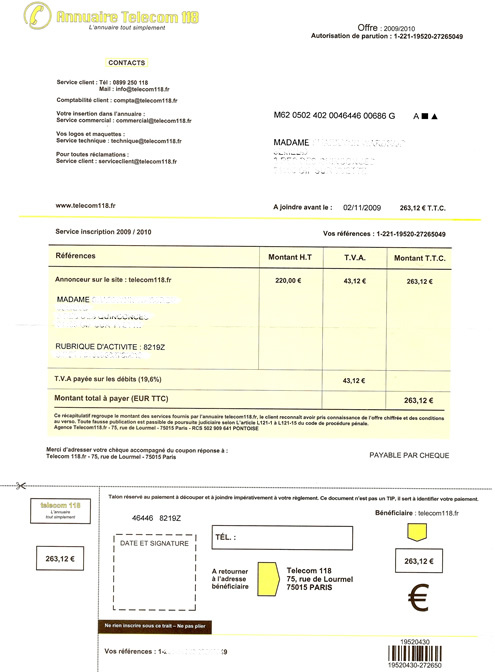 The auto entrepreneur website also mentions an invoice coming from abroad.